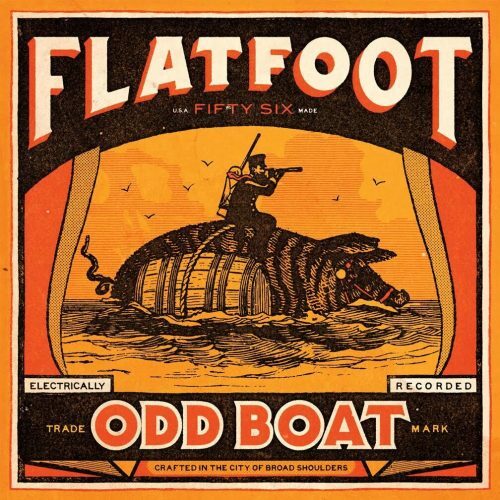 February 9, 2017 – Los Angeles, CA – Chicago’s Celtic punk band Flatfoot 56 will release their anticipated new album, Odd Boat, on April 28th with Sailor’s Grave Records. Today, the band has unveiled the record’s first new song, “Penny,” in partnership with BrooklynVegan.com. Fans can pre-order the album now from Sailor’s Grave Records or PledgeMusic. Odd Boat was produced by Matt Allison at Atlas studios in Chicago and features 12 songs that blend the band’s unique blend of traditional Irish folk music and surging punk rock. Fans can catch Flatfoot 56 on tour all spring, which will include album release shows, a tour with Larry and His Flask and a voyage on Flogging Molly’s “Salty Dog Cruise.” Dates are listed below. Next Next post: Happy Birthday, Esé. You’re a Man Now!